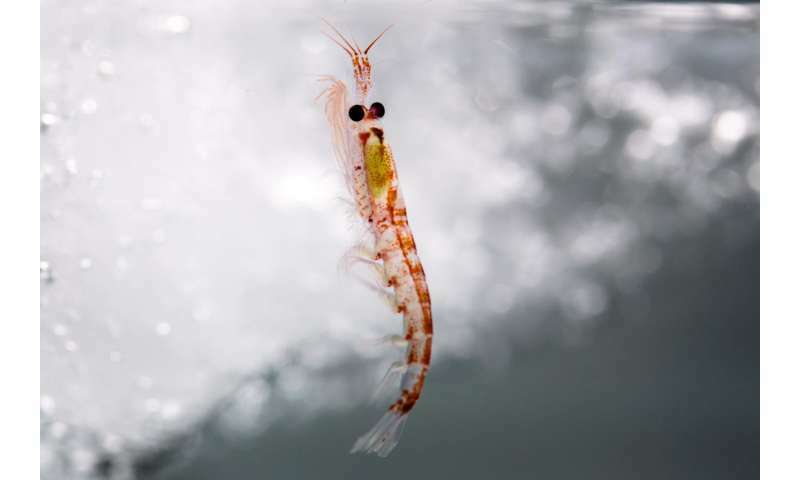 It is only six centimetres long, but it plays a major role in the Antarctic ecosystem: the small crustacean Euphausia superba (Antarctic krill). It's one of the world's most abundant species and the central diet of a number of animals in the Southern Ocean. For a long time, scientists have been puzzled why the size of krill stocks fluctuates so widely. In a new study headed by Prof. Bernd Blasius and Prof. Bettina Meyer, a group of scientists from the University of Oldenburg's Institute for Chemistry and Biology of the Marine Environment (ICBM) and the Bremerhaven-based Alfred Wegener Institute, Helmholtz Centre for Polar and Marine Research (AWI) have shown that the competition for food within the population is responsible for the variability. The researchers evaluated long-term data and developed a mathematical model to investigate the change in the krill stocks. Their findings have now been published in the latest issue of the respected journal Nature Ecology & Evolution.